Mississippian Mission Canyon formation displays prominent limestone cliffs along the Missouri River near Toston, MT. Oligocene basalt pipes (red) intrude the Spokane formation in the North Helena Valley, as revealed by magnetic surveys. Geologic mapping, well location selection and logging, and subsoil investigations are key to delineating your mineral or water resources. Geolex can perform mineral evaluations for mining ventures or conservation easement properties, well siting for residential or industrial water supplies, and structure contour mapping for subsurface drilling programs. Erosion reveals subsurface strata in the Eastern Montana badlands. The Empire formation of Going-to-the-Sun Mountain contrasts with the red Grinnell formation of Red Eagle Mountain in Glacier National Park. 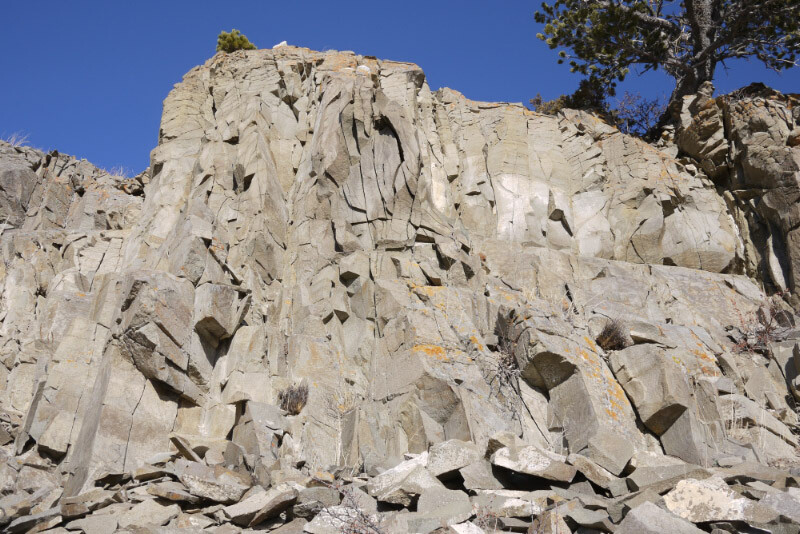 Tertiary volcanics make up Pipe Organ Rock south of Dillon, MT. Structural mapping with combined resistivity and GPR to determine extent of exposed coal beds north of Thermopolis, WY. Cretaceous syenite outcrops on the southwest slopes of the Crazy Mountains near Clyde Park, MT. The Madison Slide and Quake Lake south of Ennis, MT. Proper resource management of your waterways and upstream riparian corridors allows for preservation and/or enhancement of adjacent lands, water quality, and habitat value. And healthy streams are the result of effective monitoring, channel maintenance, and land-use planning. Channel incision during spring runoff on Tom Miner Creek north of Gardiner, MT. Scott reservoir and nearby wetlands high in the hills above Rimini, MT. Drillers install wells for aquifer characterization and mapping west of Helena, MT. Natural and artificial wetlands are paramount to maintaining water quality and increased biodiversity on your property. Preservation of existing wetlands, or mitigation of disturbed areas from construction, road building, or agricultural/silvicultural practices is required for legal compliance and maximizing your land value. In the areas of environmental and natural resource law, Geolex can assist you with technical reviews, interpretation, and expert opinions in the fields of geology and hydrology. We also specialize in the preparation of large-format maps and aerial photography courtroom exhibits for venue-specific cases.